What geographic areas do Assemblymen serve? Assemblymen is a locally-owned and operated installation and assembly service that currently serves the greater Jacksonville Area (including Orange Park, Jacksonville Beach, Atlantic Beach, Neptune Beach, Ponte Vedra, Mayport, Fernandina, and Fleming Island) and the greater Orlando Area (including Winter Park, Winter Springs, Altamonte Springs, Apopka, Celebration, Oveido, Lake Mary, Celebration, and Windermere). We are looking to expand too, so send us a message if you think we ought to expand to your area! What types of products will your assembly service put together? We assemble and install it all – home furniture, office furniture, computer desks, office chairs, fitness equipment, exercise machines, cribs, outdoor grills, patio furniture, lighting fixtures, ceiling fans, futons, TV mounts, shelves, lawn equipment, outdoor playgrounds and play sets, bicycles, bed frames and much more! Our assembly service is great for products carried by IKEA, Easyclosets, ClosetMaid, as well as any ready-to-assemble item from Target, Walmart, Office Depot, Staples, Home Depot, Lowe’s, Crate & Barrel, Pottery Barn, West Elm and much more! How do I book your assembly and installation services? The fastest and easiest way to book an assembly or installation is to fill out the online form on the home or contact us pages. Or, if you prefer, just give us a call and be prepared to provide us a complete description of your item (item name, make or model; barcode, item or SKU number; etc.). Do I have to bring my item to Assemblymen to perform the assembly or installation? No. We’ll come to your home, office or store and assemble your item(s) for you. Can I request a specific date and/or time for assembly? Yes. Assemblymen performs its installation and assembly services Mondays through Saturdays from 8 am to 8 pm. You can request an appointment in the morning (8 am – noon), afternoon (noon – 4 pm) or evening (4 pm – 8 pm). All appointments are subject to Assemblymen availability. In the event that your Assemblymen misses your appointment due to situations or circumstances out of his or her control, we will reschedule your assembly at no extra cost, but cannot guarantee any discounts or refunds. Consideration will be granted at management’s discretion if your Assemblymen fails to keep you abreast of his or her status regarding your appointment. How quickly can I be scheduled for an assembly or installation? Typically, assembly and installation appointments are set to take place between two days and one week. However, if scheduling permits, Assemblymen will schedule you for an appointment within 24-48 hours. We recommend that customers call as far in advance as possible to inquire about specific availability. Will my Assemblymen contact me prior to arriving at my home? Yes. Your Assemblymen will contact you the day of or before your appointment to verify your address, confirm your availability, and get specific directions to your location. How should I prepare my home for my Assemblymen appointment? Prior to your Assemblymen appointment, please place all items in the room(s) or area(s) where you want them assembled or installed. Please also clear the area to allow maximum and adequate space for assembly or installation. How long will the Assemblymen take to assemble my item? This varies from product to product. But we work relatively fast — and without sacrificing quality. The Assemblymen are seasoned and employ the most expedient means and methods to assemble or install your item as quickly as possible. Note, however, that the price of assembly is not affected by how long it takes us to assemble your item. Will my Assemblymen bring his or her own tools? Yes. Each Assemblymen maintains all the necessary tools and equipment to complete each order according to manufacturers’ directions and proven industry means and methods. Does Assemblymen also provide the accessories or other materials or equipment incidental to my product’s installation or assembly? No. For certain items, customers should refer to the assembly or installation instructions to verify that he or she has all accessories or incidental materials or equipment needed for the assembly. For example, if you hire our installation and assembly services to mount a flat screen television, you must purchase the TV mount and other needed accessories. Will my Assemblymen dispose of my item’s boxes and packaging once the assembly services are complete? Typically the Assemblymen will not dispose of the cartons or trash associated with a residential assembly or installation. They will, however, very neatly stack the waste for your disposal, and will also keep your home neat by collecting waste throughout the assembly and installation process. Assemblymen does not deliver. However, in special cases and for an additional cost, we can make special arrangements to have your product delivered to you. Please just call to inquire. Will you assemble anything for $25, $50 or $100? We’ll assemble most things at these low, flat prices. These prices are based on the complexity of your item and the number of Assemblymen required to do the job. They are not affected by the cost of your item or how long it takes us to assemble it. Exceptionally large or complicated items may have to be specially priced. Does this pricing structure apply to office furniture and store displays? Yes. Our pricing structure remains the same, whether you use our assembly service to put together a product for your home, office or store. Bulk pricing and/or special rates may be available if you want Assemblymen to assemble multiple items. How do I pay for your Assembly service? We accept VISA, MasterCard, Discover, American Express and payments via PayPal. We do not accept checks or cash payments for assembly or installation services. Can I tip my Assemblymen? Yes. The Assemblymen proudly accept tips for their good work. Yes. Assemblymen offers a 10% discount for requesting a quote online. Assemblymen also offers an additional 10% discount to customers who “like” and “tag” us in a post on Facebook and/or “follow” and “tag” us in a tweet on Twitter. Remember to use the handle @Assemblymen. How do I know I can trust Assemblymen? There are several reasons why you can trust our installation and assembly services. 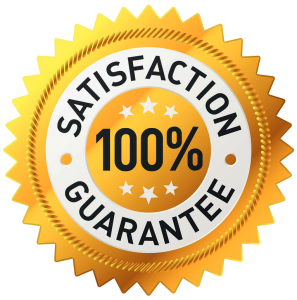 First, we stand behind our work, guaranteeing the proper assembly or installation of all items booked through our corporate offices – or your money back. Second, in addition to guaranteeing our work, we’re also fully insured – so you’re always covered. Third, all of the Assemblymen undergo a thorough background screening. Fourth, our high customer satisfaction rate is perhaps the biggest indicator of the fact that you can trust Assemblymen.